1. It shows how precious friendships are. Kim Bok Joo is lucky to have Seon Ok and Nan Hee as her best friends. Karaoke when you’re sad? Game! Food trip? Check! Barbecue and Bok Chicken? Suweeg! Without Seon Ok and Nan Hee’s genuine encouragements and support, Kim Bok Joo’s life wouldn’t be as joyful and colorful. Joon Hyung’s friendship and sincere care for her also contribute to her success and inspiration. 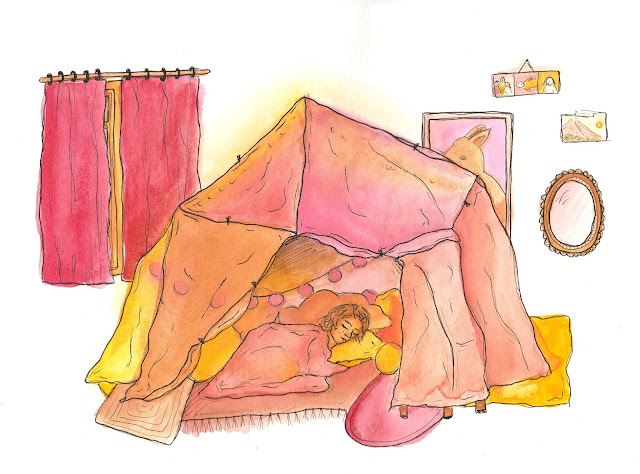 Also, who wouldn’t want sleepovers with your best friends when you’re scared of a ghost or crying over a boy? 2. It reminds you that physical look doesn’t matter. In this show, Kim Bok Joo is portrayed as a tough (cue weightlifting), average-looking girl compared to gymnasts who are considered more feminine and prettier. But when Joon Hyung— a very good-looking swimmer— falls for her, it reminds us that even when you have more muscles than a guy or are less strikingly gorgeous than the girl next door, you’re still worthy of romantic love and affection. 3. It has beautiful soundtracks! WFKBJ’s songs will either make you want to cry or go outside and start hopping. Check out the soundtrack here! 4. It makes you want to try some sports. Both of the protagonists are student athletes—well, most characters are. Kim Bok Joo is a weightlifter and Joon Hyung is a swimmer. If you’ve always disliked the idea of sports, watch how they train and love what they do! 5. Foods. Lots of foods. You will see lots of Korean foods in every episode! 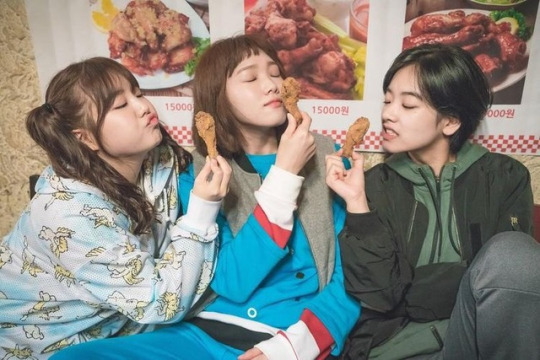 The Swag Squad (best friends Kim Bok Joo, Nan Hee, and Seon Ok) always eats for fun and weightlifting. They even have this four-step routine called “BFN” (Barbecue, Fried rice, Naengmyeon) to fully enjoy their food trip in their favorite K-barbeque restaurant! 6. It empathizes with real problems. 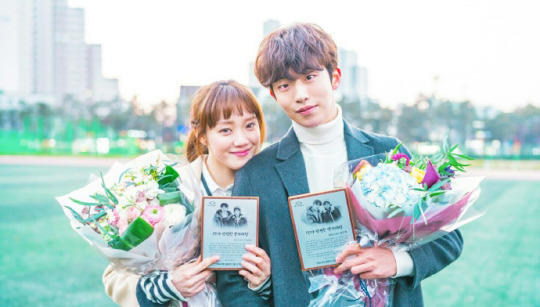 Despite its light-hearted tone, WLFKBJ manages to empathetically show how real mental illnesses are, including eating disorders, depression, and trauma. 7. 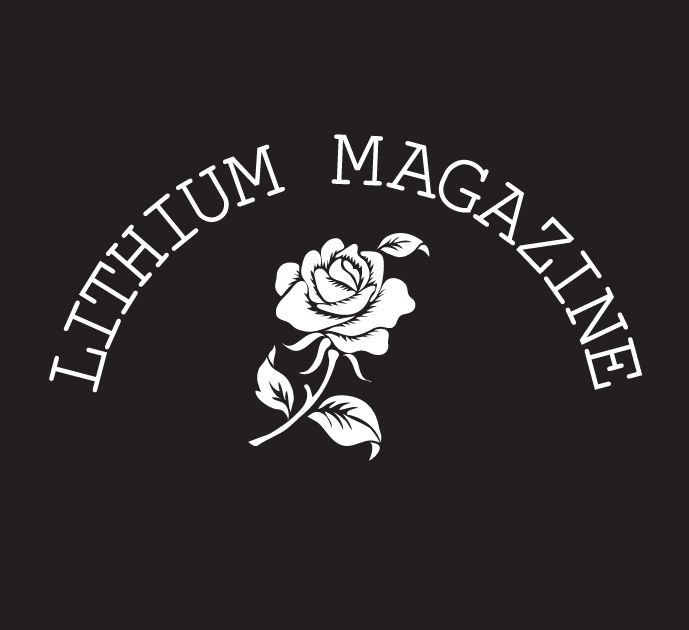 It encourages you to pursue your passions and work hard. It may be cliché but clichés are clichés for a reason! Most WFKBJ characters show that when you pursue what you love to do and work hard on it, it will soon pay off. Not only that, but it also tells you that it’s okay to take a break and treat ‘yo self once in a while.